The Musicals of 1995 in Derry this Sunday – Don’t miss Victor/Victoria, Smokey Joe’s Cafe and Songs for a New World! Join us this Sunday for a concert you won’t see anywhere else! 4 p.m. at the Derry Opera House! 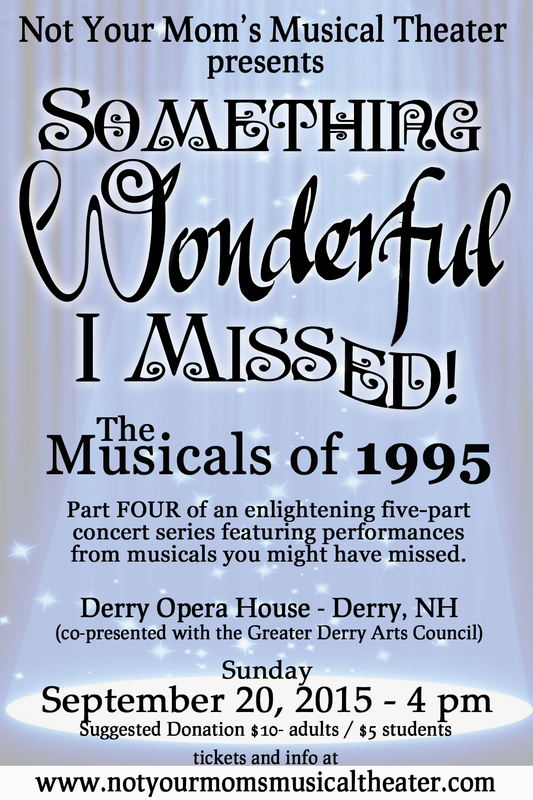 Something Wonderful I Missed: The Musicals of 1985 is in Derry for one show only this weekend!